Posted in: Brian's publications. Tagged: data science, exoplanets, K2 mission, Kepler mission, moons, time series analysis. UPDATE (2016 Mar 24): The paper is now available for free on astro-ph. 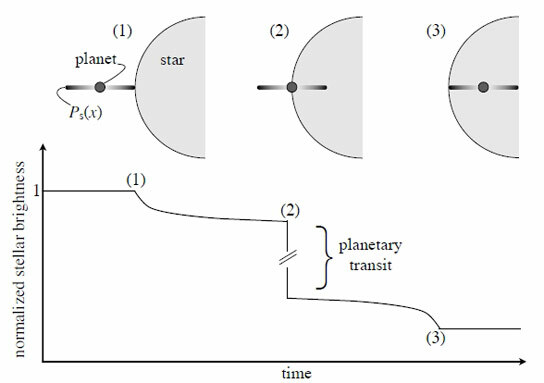 The Astrophysical Journal published today a paper by my colleagues and myself investigating in detail a way to look for moons around transiting exoplanets. The discoveries of thousands of planets and planetary candidates over the last few decades has motivated a parallel effort to find exomoons. 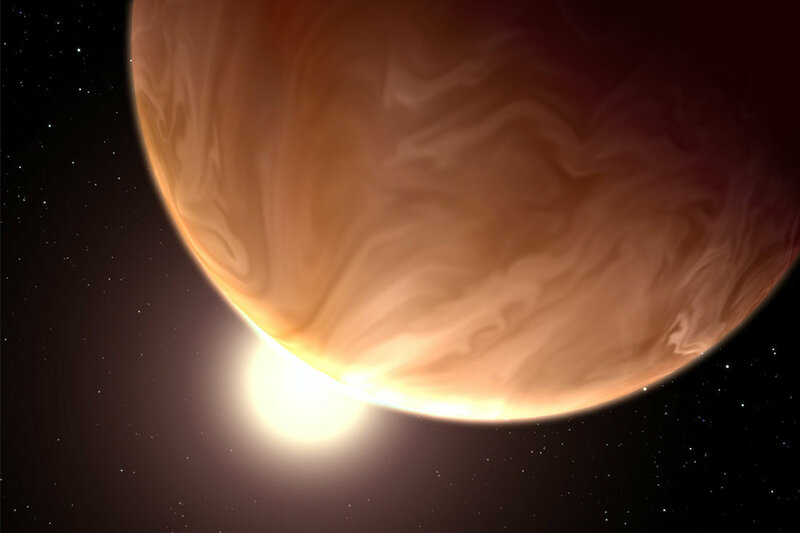 In addition to providing a base of operations for the Empire, exomoons might actually be a better place to find extrasolar life than exoplanets in some ways. This technique for finding exomoons, called the Orbital Sampling Effect, was developed by René Heller and involves looking for the subtle signature of a moon’s shadow alongside the shadow of its transiting planet host, as depicted in the image below. The dark cloud shown around the planet represents the exomoon’s shadow, averaged over several orbits. At epoch (1), a satellite transits just before the planet. At epoch (2), the planet’s transit begins, inducing a large dip in the measured stellar brightness. At epoch (3), the satellite modifies the planet’s transit light curve slightly but measurably. 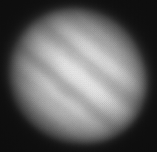 This simple technique has advantages over alternative exomoon searches in that it doesn’t require significant computational resources to implement. It can also use data already available from the Kepler and K2 missions. However, on its own, the technique can’t provide a moon’s mass, only its size, and it requires many transits of the host planet to find the moon’s quite subtle transit signature. No exomoon has been found yet in spite of tremendous efforts to find them, so the search continues.